April Fools day fell on a weekend, which must have disappointed school kids everywhere (if they still play pranks on this day). 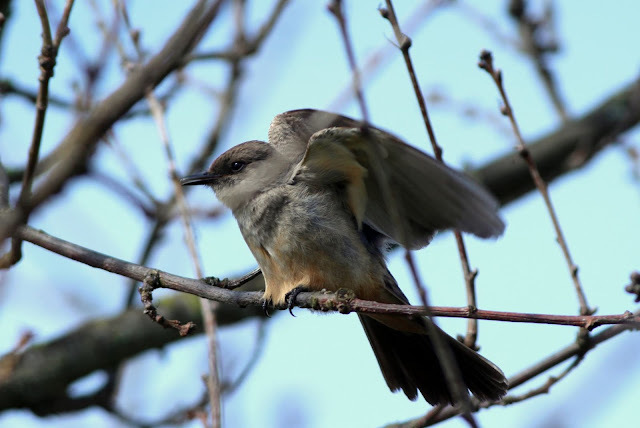 Spring birding was underway with reports of Mountain Bluebirds and Say's Phoebes in numerous locations. 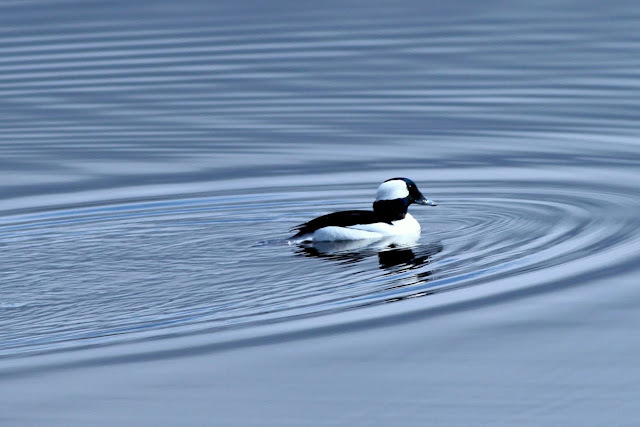 These birds are more commonly seen in the Okanagan, but do show up here during migration. Both species had been seen at Iona, and one Phoebe had been seen near the parking lot. After parking, I quickly spotted it on a tree by the washroom. 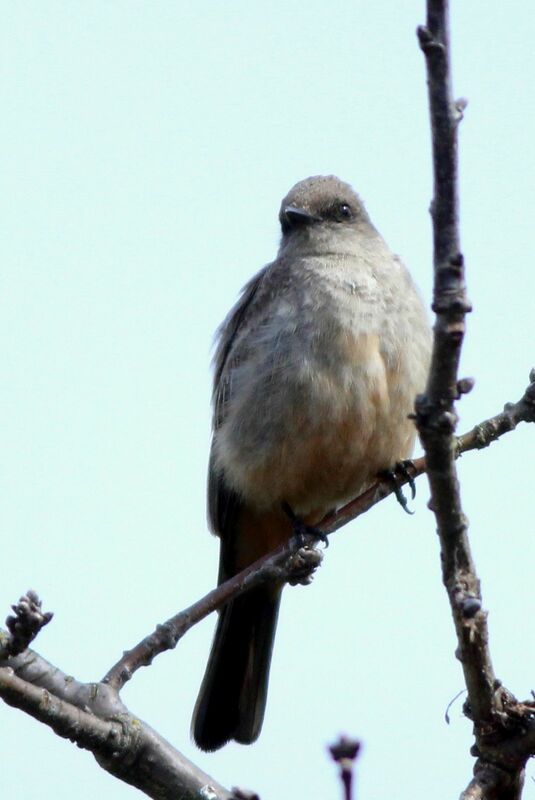 Phoebes are member of the Tyrant Flycatcher family. The Black Phoebe prefers the south-western US, and the Eastern Phoebe is seen East of the Rockies. The Say's is common in the West and occasional in the East. 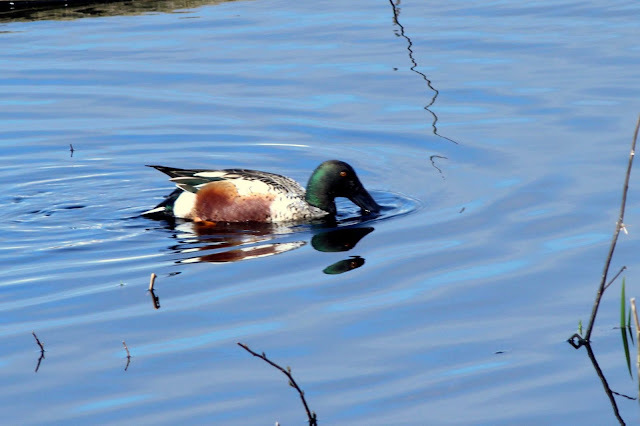 The outer ponds at Iona feature a good variety of ducks. They were scarce today, but I did get a nice photo of a male Bufflehead. My next target was a Snow Bunting that had been seen on the Iona Jetty, the large outfall pipe that reaches 4 KM out into the ocean. It had been seen around the 2 KM mark. I made the trek but did not find the bird. On my way back I passed a marshy area at the foot of the jetty. 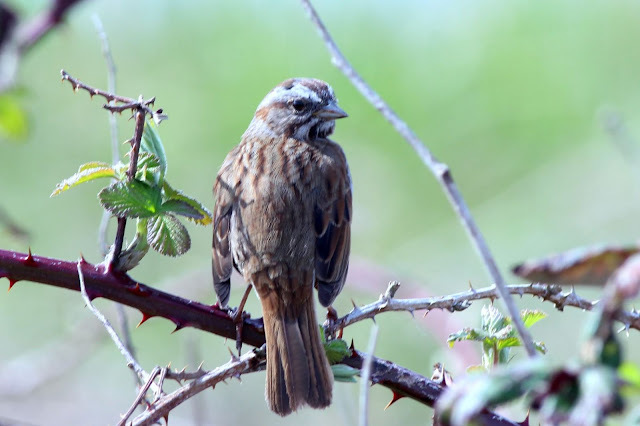 A Song Sparrow was singing nearby and briefly posed for this shot. In the marsh were a number of Northern Shovelers. Here's a colourful male performing his signature feeding behaviour. You can tell that spring migration has started when the Yellow-rumped Warblers show up. I'd seen one the previous week at Maplewood. At Iona on this day, they had arrived in large numbers. I probably saw 15 - 20 individual birds during my half hour walk around the outer ponds. This is my best capture during this period. 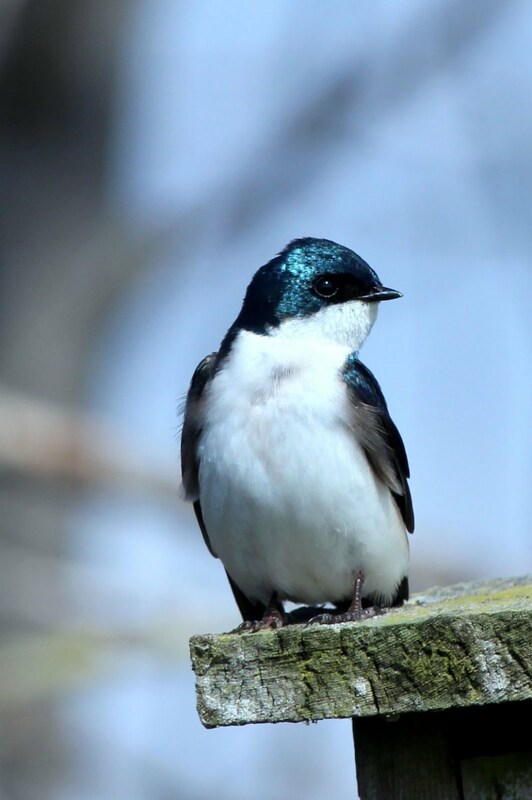 Another abundant resident at this time of year is the familiar Tree Swallow. 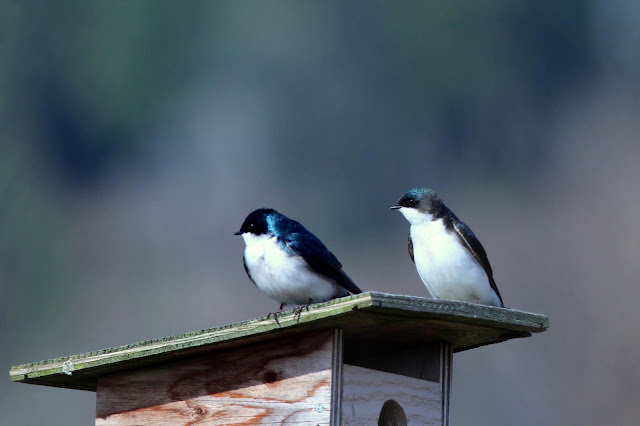 There are numerous nest boxes at Iona which are maintained by the Wild Research volunteers. This swallow has staked a claim on one of them. Here's a pair on another box further along the path. The bird on the right is a female. They have more brown on the head and upper wing area.